Join flute-viola-harp trio Hat Trick for a live performance of their 2018 Grammy-winning album, "Garden of Joys and Sorrows!" The program features music from four continents by a diverse group of composers including French impressionist master Claude Debussy, leading Japanese composer Toru Takemitsu, Seattle-based Uruguayan-American Miguel del Aguila, and Russian mystic Sofia Gubaidulina. 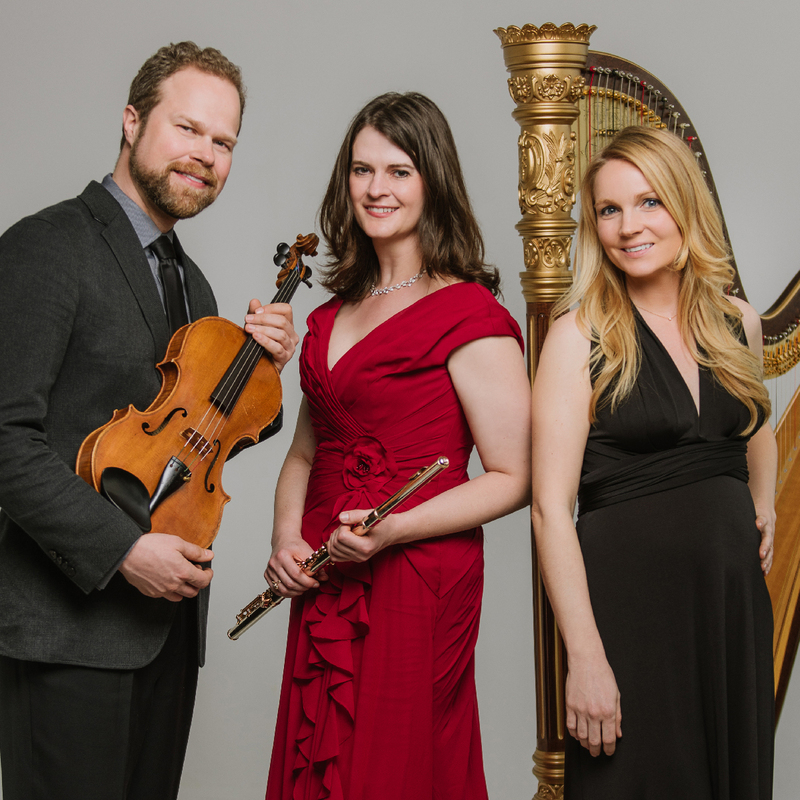 Formed in 2013, Hat Trick is a virtuosic flute-viola-harp trio whose members are equally at home as chamber musicians, soloists, and agents of audience engagement. Hat Trick presents works commissioned by and for the ensemble, performs exemplars from the classic trio repertoire, and also brings to life more eclectic works. The ensemble aims to broaden the flute, viola, harp repertoire and showcase its individual and collective strengths. Hat Trick uses strategic programming to provide listeners with deeper perceptions of trio masterworks by Debussy, Takemitsu, Gubaidulina, and lesser-known composers. The trio's debut CD "Garden of Joys and Sorrows" on Bridge Records was one of nine projects earning David Frost a "Producer of the Year, Classical" Grammy in 2018. Whatever you can, no questions asked, we want to make sure our concerts are 100% accessible. If you'd like to make a donation at checkout we appreciate it.